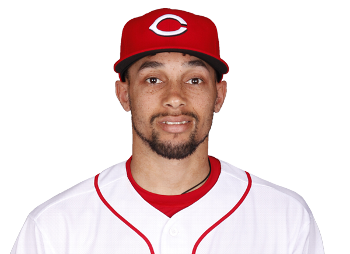 Since his promotion to the Major Leagues in 2013, there is no player potentially more exciting than Billy Hamilton. Considered the fastest man in baseball, Hamilton appears able to steal bases at will, embarrassing even the likes of the mighty Yadier Molina. However, the key word regarding Hamilton has always been “potentially,” for Hamilton also has struggled mightily to get on base, and as the cliché goes, “you can’t steal first base.” Most observers have argued that if he can just achieve a .300 On-Base Percentage, he would be a force in the lineup. Happily, Hamilton has recently turned a corner and raised his OBP to a respectable .323 (through 8/21), and in doing so, we’ve seen stolen bases by the bushel. First, let’s be clear on what Slugging Percentage is. It’s a pretty simple stat: you take the total bases that a player’s hits produce (single=1, double=2, triple=3, and home run=4), and divide by his at-bats. So if a player is 30-for-100 with 30 singles, his batting average and Slugging Percentage are the same: .300. If he hits 15 singles and 15 doubles, his batting average stays the same, but his slugging percentage rises to .450 (15 singles x 1 + 15 doubles x 2 / 100). It is a quick and easy way to show that doubles are better than singles, triples are better than doubles, and chicks dig the long ball. Slugging Percentage is admittedly a blunt instrument, for it says that a double is exactly twice as valuable as a single, a home run is exactly 4 times more valuable than a single, etc. Studies have shown that this isn’t completely accurate (for example, when calculating WAR, home runs are not valued as 4 times a single, but instead approximately 2.38 times more valuable). However, Slugging Percentage gives a general idea of a player’s ability to rack up bases while at the plate. In other words, no one would confuse Billy Hamilton for Giancarlo Stanton. In the end, I decided to only count those stolen bases that occurred after a hit or a walk. Why? Because I can. Since this is a made-up stat, I can make it up anyway I want. I figured that if Hamilton got on base by some skill of his own, I would add any of those stolen bases to his total bases. That’s right, the Home Run Derby Champion Giancarlo Stanton has a .496 Slugging Percentage. 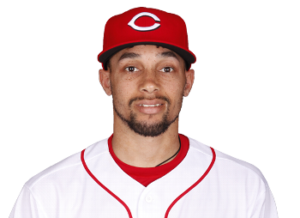 Perhaps someone could confuse Billy Hamilton for Giancarlo Stanton after all! And since Stanton has zero stolen bases this year, his “Stolen Slugging Percentage” would remain at .496. 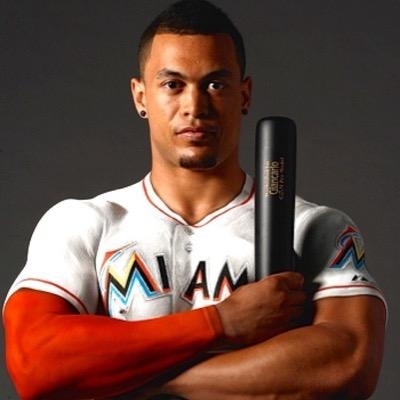 (Admittedly, Stanton, other than hitting 4,000 home runs in the Home Run Derby, has had a down year). My conclusion: Billy Hamilton is exactly the same type of hitter as Giancarlo Stanton. Okay, maybe not. But his ability to steal bases adds tremendous value to his overall offense, so that even a relatively average OBP can result in significant value for his team.